FV persecution: Is it ever going to stop? Mark Horne once again alerts me to the witch hunt that continues in the PCA. I have tried in the past to give these men the benefit of the doubt, after all they have strong convictions about what is confessional and what is not. However, I often wonder what is the motivation to go after some groups and not others. In other words, why is a high sacramental view more offensive to these men than a deeply low, almost non-existent sacramental view? Why is it un-confessional to wrestle with how the Bible uses certain words and what meaning the Biblical text gives these words? Pastor Lane Keister is incredibly blunt on this post concerning his goals to eliminate any influence of a covenantal vision in the denomination. 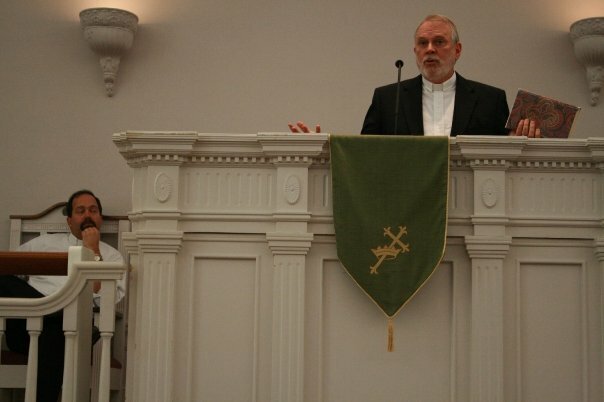 In my opinion, the PNW Presbytery is the best presbytery in the PCA and if they succeed in eliminating the influence of men like Pastor Robert Rayburn, the PCA will have little hope in recovering a robust view of the church. The August edition of the Ordinary Means Podcast discussed the four papers delivered at the General Assembly this year. They analyzed the contribution of each particular speaker on the topic of sacramental efficacy. However, their pre-disposition to oppose anything associated with the Federal Vision clouds their assessment of Jeff Meyers’ excellent paper entitled: “Efficacy and Ritual Performance: How the Administration of the Sacraments Affects What They Actually Accomplish,” which should cause many PCA ministers to re-consider their practice of the Lord’s Supper. One of the criticisms they offered of Meyers’ presentation is that he is overly interested in performing the rite of holy communion properly so that God would bless His people. In their perception, the idea of doing something right in the liturgy of the Lord’s Supper is to revert to the Old Covenant idea of “do this and live.” Of course, their WTSCAL training has taught them that the Deuteronomic mandate of “do this and live” is no longer relevant because Christ has done it all on our behalf. The reality, however, is that this is simplistic. No one denies the full and satisfactory work of Christ on behalf of His covenant people. Christ is the end of the law, and as such, the law never has and never will convert a dead man. That Christ has fulfilled the law does not mean that He has abolished the ethical implications thereof for His people (this is the old theonomic debate all over again). In this case, Meyers’ warning that the Lord’s Supper be done correctly, so that God would bless us richly, is simply an echo of Jesus’ own words: “If you love me, keep my commandments.” Paul himself speaks of the orderliness and decency of Church life. So what hinders that principle from being applied to what is at the heart of the liturgical experience: the Supper of the Lord? If God demands that His word be preached faithfully and correctly, does He not demand that the rite of the Holy Communion He initiated with His own disciples be performed correctly? Another critique offered is that Meyers contradicts himself by affirming that the Lord’s Supper is to be celebratory, then saying that it needs to be done rightly. One of the guests of the Ordinary Means podcast cannot understand how order and celebration can be reconciled. He argues that if we are to be concerned with the details of the supper, then that will distract us from celebrating Christ’s work for us. But creation is a perfect example of this beautiful harmony. God spoke creation into existence in an orderly manner and God calls us to rejoice over His own creation, the fruit of the vine as a means to this enjoyment. Overall, the discussion and analysis of the other speakers were helpful and informative. January 5-7, 2009 are the dates for the upcoming conference. “The Church and Her Rivals” is the topic. Doug Wilson, Rich Lusk, Rich Bledsoe, James B. Jordan & Steve Wilkins are the speakers. Auburn Avenue Presbyterian Church has made their own public statement concerning their relationship with Grace Covenant Church and the CREC. That statement can be found here. Yesterday the congregation of Auburn Avenue Presbyterian Church voted (without dissent) to leave the PCA. They also voted to have Steve Wilkins continue as their pastor, and to approach the CREC for membership. They have been adopted as a mission church of Grace Covenant Church in Nacogdoches, Texas, pastored by Randy Booth. 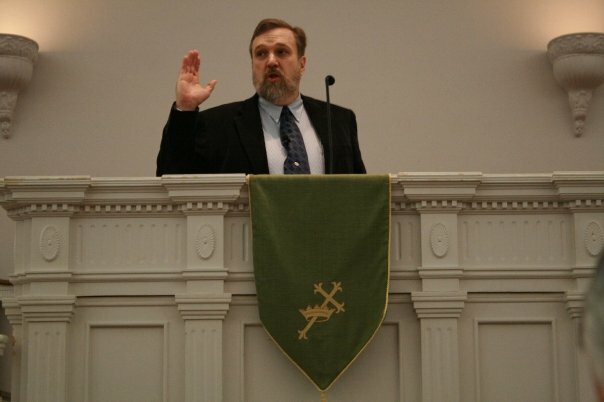 Steve was a member in good standing of the Louisiana Presbytery and consequently may transfer his membership according to the PCA BCO (38-3a), with the presbytery simply recording the action. The Louisiana Presbytery has been formally notified of all this. We welcome Auburn Avenue into our fellowship of churches with an odd mixture of grief and joy. This is disheartening from the side of one who cherishes catholicity. Anyone who has met Steve knows his heart and passion for the gospel proclamation. Nevertheless, I respect the church’s unanimous decision to leave the PCA. As for me, I will continue to pursue a call in the PCA. I love my denomination and intend to shepherd God’s flock wherever I am led. One of the profound pastoral advices from the Auburn Avenue Conference came from Pastor Jeff Meyers. 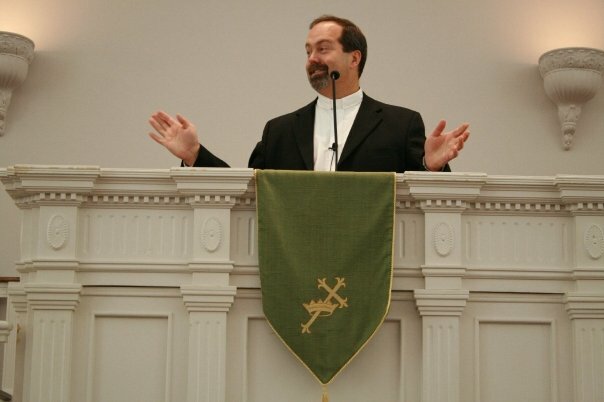 Jeff argued from experience and exegesis that liturgical reformation will not occur overnight. Pastors need to be patient with their people. They need to understand their people’s past liturgical experiences, their concerns, and their expectations. Hence, knowing your people is the first step to liturgical renewal. I have just returned from Monroe, Louisiana. We drove 13 hours through some of the most beautiful southern sceneries. It was a long, but pleasant drive. At our arrival, we were greeted by our kind hosts. They were members of Auburn Avenue Presbyterian Church. I have never been so kindly treated. I must say that southern kindness came through quite well. My many thanks to all who were so kind to me. The Conference was a magnificent display of humor, scholarly discourse, a little more humor, and a lot of pastoral advice. Pastor Jeff Meyers delivered two lectures on his experiences as a pastor and how ministers ought to be patient with their congregations in order to achieve liturgical reformation. Pastor Douglas Wilson urged us to pursue liturgical reformation, but never at the expense of diminishing the importance of the preached Word. 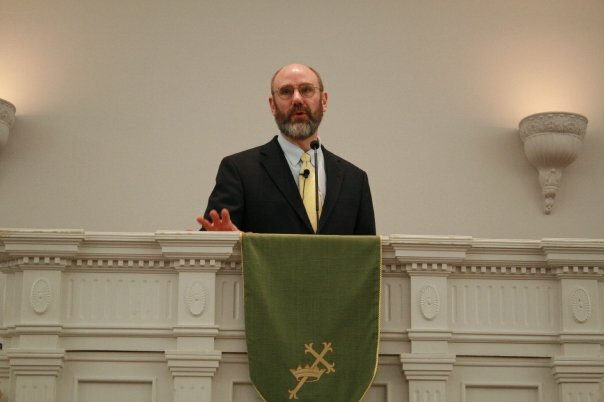 Pastor Peter Leithart spoke three times on the use of liturgical language in the Old and New Covenant. His talks with filled with theological gems. James Jordan spoke once –to the delight of most participants– who have learned from Jordan to sing the Psalms with fervor and triumph. One of my greatest joys was to look around and see many young people singing with such enthusiasm and passion. The Psalms were part of who they were. The hymns were an extension of their vast liturgical knowledge. Another great delight of the conference was meeting two of my favorite bloggers: Barbara Harvey who exemplifies class and kindness and Steven Wedgeworth whose knowledge has kept him alive at the RTS Jackson campus. It was great meeting both of you in person and I pray to see you again in the coming years. After attending this conference I have a much better grasp as to why people continually attack these men: They attack them because they do not know them.